This entry was posted in Bulk Containers, Gaylord Boxes on September 23, 2018 by dmadden. This entry was posted in Bulk Containers, Gaylord Boxes on February 7, 2018 by dmadden. This entry was posted in Bulk Containers, Gaylord Boxes, Shipping Containers on January 17, 2018 by visiture. The term “used” has such a negative connotation attached to it, and it just doesn’t make sense. Sure, there are certain things that just don’t sound all that appealing if you add “used” to it (underwear, food – that’s just icky). But there are so many things that you could be buying used that will give you the same quality, aesthetic, durability – whatever – as any new counterpart. Plus, unless we’re talking a valuable antique or collectable, used pretty much always means cheaper, and who among us doesn’t like having to spend less money? Of course, to get you to leave behind all of the negative things you’ve surrounded “used” with, you’re probably going to have to see some examples. In that case, you’ve come to the perfect place, as here we’ll go over some of the best things you can buy used and feel super proud about. Have you seen the cost of tuition these days, even at average universities? Yes, college costs enough as it is, without uselessly spending more, and one thing that you definitely don’t need to buy new is a textbook. A textbook that was just used last semester has nothing less to offer than a brand new textbook that just showed up at the campus bookstore or online. As long as the professor is still using the same edition, you can even buy a used textbook that’s a couple of years old. Then again, it would be smart to talk to your professor and see how drastic the changes are in editions, as you might still be able to buy an older edition even if a new one is being used in class. Buy used items while in college and you’ll see the savings add up. Constantly buying brand new clothes for your kids is a habit you can certainly cut back on. Save costs and buy used items for younger kids! Young children, especially infants and toddlers, will grow out of their clothes so quickly that you can easily end up spending a small fortune buying them new clothes every few months. It makes more sense to use hand-me-downs or clothes purchased at a thrift store/consignment shop. A lot of retailers for children’s clothes will sell quality used clothing – something that’s a double bonus for you, because unless you have another child you’re planning on passing them down to, you can go ahead and get rid of the old clothes by donating them rather than tossing them in the trash. For older kids, buying used is still an option. After all, vintage used clothes are highly fashionable these days. For both businesses and households, purchasing used storage solutions is a no-brainer. You can find quality retailers, like Container Exchanger, that buy and sell used containers, bins, wire baskets, etc. which are perfect for commercial and even residential applications. 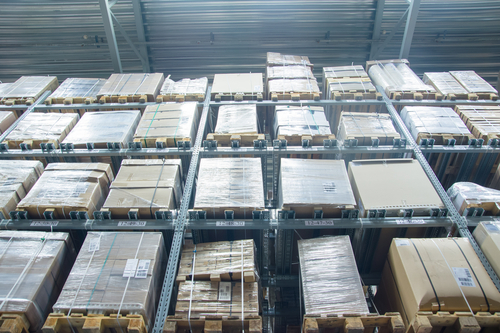 If you’re needing products for a warehouse or stockroom, or you need some better storage in a garage or workshop, then purchase some used stackable bins or containers. A lot of these things typically still look close to new anyways, but, for even better deals, consider buying ones that might look a little scratched or scuffed. You can purchase spray paint that’s made especially for painting plastic surfaces, and then paint them whatever color you want, even creating designs or logos using stencils. Buy used items, and before you know it, you’ll have something that looks brand new for a fraction of the cost. Buying secondhand furniture doesn’t have to be as shabby as it sounds. A lot of things look absolutely amazing with just a little TLC – so much so, that plenty of people make a living out of buying secondhand furniture and sprucing it up, reselling it for way more than they have invested in it. Don’t walk past a sofa or chair that has a hideous fabric. Stop and ignore the fabric for a moment, paying attention instead to the furniture’s overall design. If the lines are pleasing and it offers the seating you’re looking for, then haggle a price down and just have it reupholstered. See a wooden table, bureau, or desk that’s seen better days? Buy and refinish it: You’ll be thrilled at how great it looks after a little sanding and a new coat of stain. Of course, painting furniture can go a long way toward throwing life back into an old piece without having to spend a lot of money. In the end, that’s got to be your overall outlook on everything: Think of what something can be, rather than what it currently is. This entry was posted in Gaylord Boxes, Shipping Containers, Sustainability on May 30, 2016 by madden_david. The waste produced by shipping containers on a global level is predicted to increase in the coming years. The amount of harm done to the Earth is extensive when you combine the waste produced by expendable packages with the amount of greenhouse gas emissions released for the creation and transport of these packages. It is becoming increasingly important for companies to consider feasible, reusable options when it comes to packaging materials. Packaging should be reused whenever possible to reduce the amount of waste that ends up in landfills. Additionally, sturdy alternatives to cardboard and wood such as plastic totes or metal pallets should be adopted to reduce waste and increase the life cycle of packaging material. These types of items can withstand many more uses than items made of more traditional materials. Ultimately, recycling and reusing packaging containers will reduce the amount of time and money expended on traditional, single-use materials. This entry was posted in Bulk Containers, Gaylord Boxes, IBC Totes, Insulated Containers, Metal Bins, Pallet Containers, Pallets, Totes, Wire Baskets, Wood Crates, Wood Pallets on May 13, 2014 by madden_david. Sizes of gaylord boxes can vary significantly, but many gaylords are sized for either 40″x48″ pallets or 45″x45″ pallets. Thickness of the boxes can range from 2 layers of cardboard all the way up to 5 layers of cardboard; these layers are also called walls. The number of walls is a pretty good indication of the overall strength of the box, where the more layers of cardboard indicate a stronger box. However, this is not always the case, as some gaylord boxes have thicker individual walls than others. Some boxes are rated for a particular capacity, so it is often recommended that you inquire about this feature before purchasing a gaylord. This entry was posted in Bulk Containers, Gaylord Boxes on May 1, 2014 by madden_david. Food processing companies often use gaylord boxes to store and transport various food products to customers. The most common use is to transport produce from suppliers to various distribution points such as grocery stores and produce stores. Manufacturing companies often use gaylord boxes to store their finished products in their warehouses as well as to ship them to distributors around the world. This is especially true for clothing manufacturing companies as gaylord boxes provide a lightweight, cost effective way to package and ship large volumes of clothing. Charitable organizations often use gaylord boxes to accept donations from a wide variety of sources. They can use these large, cost effective containers for both storage and shipping. Plastics and scrap metal companies use gaylord boxes for collecting and storing both products and raw materials as well as for shipping them to their ultimate destination. And the list goes on and on. Gaylord boxes offer a cost effective way to store and transport a large numb er of goods from one place to another, which has an impact on every industry across the globe. Container Exchanger makes these invaluable containers even more cost effective by providing buyers the opportunity to purchase used gaylord boxes at a discounted price from companies looking to offload extra containers and wish to create a new revenue stream. Container Exchanger works with a variety of companies all across North America, from Canada to Mexico and everywhere in between, providing a win-win solution for everyone. 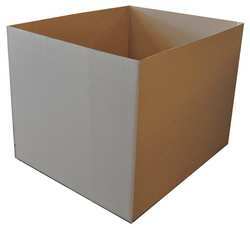 Used Gaylord boxes are sturdy, reusable containers that incorporate multiple layers of cardboard to create a rigid box that can safely hold anywhere from 1,000 to 1,800 lbs, depending on the number of walls. Gaylord boxes are used by a variety of businesses to contain and ship a number of materials including rags, scrap pieces, plastic resin and more and can be stacked several layers high in order to help manage valuable storage space. Gaylord boxes are made from 100% recyclable materials, which means that the use of these containers is not only beneficial to the company, but to the Earth as well. In many cases, businesses will order and use new gaylord boxes, however used gaylord boxes can provide just as much stability as a new one and usually cost considerably less than their new counterparts. 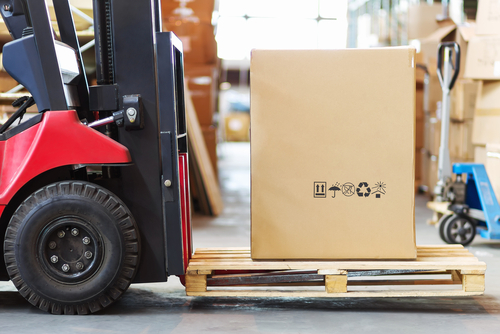 Not only does ordering and using used gaylord boxes increase revenues, it offers companies another way to incorporate environmentally friendly practices into their everyday operations. Many companies have turned to using used gaylord boxes to address their storage and containment needs as a way to control operating costs. Container Exchanger is a company that offers used gaylord boxes for sale. They have a large network of companies that buy and sell gaylord boxes and can help you buy or sell gaylords by making the necessary connections between businesses in your area. 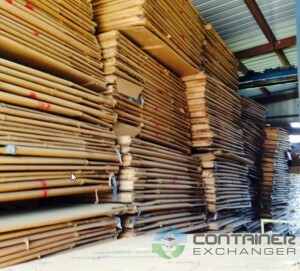 For those looking to sell used gaylord boxes, contact Container Exchanger today to set up an ad or get a listing of businesses looking to purchase the boxes with the particular specifications you have. This entry was posted in Bulk Containers, Gaylord Boxes on February 27, 2014 by madden_david. Gaylord boxes are used for organizing and shipping different products such as rags, vegetables, scrap materials, and resin among others. Gaylord boxes are crafted with several layers of cardboard. This design makes them a practical choice for those who need stackable storage that will be used in warehouses or inside container vans. While you can buy new Gaylord boxes for sale, there are several benefits for businesses and entrepreneurs when you buy second hand boxes. Used Gaylord boxes for sale are cheaper than newly manufactured ones. Since the boxes are designed for toughness, second hand boxes are still very reliable storage solution. One can acquire used boxes by asking stores in the community or by doing a bit of search online. Recycling boxes makes Mother Earth smile. Imagine if a business needs hundreds or thousands of Gaylord boxes, you will be saving your city tons of boxes in the landfill. Being green also attracts more consumers today as people are now very much conscious about the environment. Because of the design of Gaylord boxes, even used ones can last for quite some time. The important thing to remember is to handle the boxes with care and keep them in a dry place. You do not have to worry about getting old, worn out boxes when buying used boxes since studies have shown that used Gaylord boxes for sale may still last as long as new boxes. 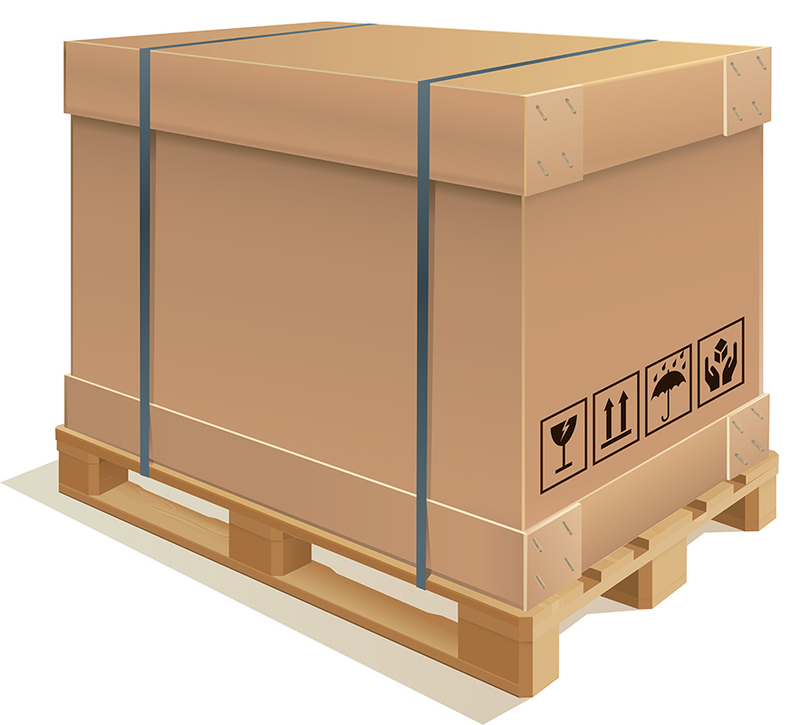 When buying used Gaylord boxes for your business, you need to remember several things. You may want to ask if the supplier requires a minimum order. The supplier must have enough volume to meet your demands especially during seasons when you need more storage. Buyers should also check if quality controls are in place to make sure you will get good quality Gaylord boxes even when they are already used boxes. This entry was posted in Bulk Containers, Gaylord Boxes on December 31, 2013 by madden_david.